This is a short post to inform regular readers that I’ve made some changes to the FAQ document for the site (link to the left). Normally people alter the FAQ because the types of popular questions have changed. In our case, it is my answers to those questions that have changed in the time since I wrote my original responses – hence the need to revise the FAQ. 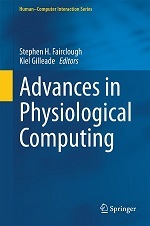 The original document firmly identified physiological computing with affective computing/biocybernetic adaptation. There was even a question making a firm division between BCI technology and physiological computing. In the revised FAQ, I’ve dumped this distinction and attempted to view BCI as part of a broad continuum of computing devices that rely on real-time physiological data for input. This change has not been made to arrogantly subsume BCI within the physiological computing spectrum, but to reconcile perspectives from different research communities working on common measures and technologies across different application domains. In my opinion, the distinction between research topics and application domains (including my own) are largely artificial and the advancement of this technology is best served by keeping an open mind about mash-ups and hybrid systems. I’ve also expanded the list of indicative references to include contributions from BCI, telemedicine and adaptive automation in order to highlight the breadth of applications that are united by physiological data input. The FAQ is written to support the naive reader, who may have stumbled across our site, but as ever, I welcome any comments or additional questions from domain experts. This entry was posted in News, Research and tagged FAQ, physiological computing on November 18, 2010 by Steve Fairclough.